Billionaire environmentalist Tom Steyer met with White House climate adviser John Podesta just days after Steyer announced he would raise $100 million to elect Democrats during the 2014 election cycle. Also attending the meeting, according to White House visitor logs, were liberal billionaire George Soros and Michael Vachon, a top Soros lieutenant. "They discussed a variety of topics," Vachon told E&E News. He declined to elaborate. Opposing the Keystone XL pipeline has been one of the key pillars of Steyer's environmental agenda, and that issue may also have arisen at the meeting with Podesta, a longtime critic of Canadian oil sands development. However, Podesta said when he joined Obama's staff that he would steer clear of that decision. The White House would not comment on the content of the meeting, and it's unclear whether specifics of Steyer's campaign or the pipeline were discussed. While federal law prohibits most federal employees from engaging in some political activities while on the job, as a top member of Obama's staff, "Podesta's at a level where he is allowed to engage in political activity while on duty," said Scott Coffina, former associate counsel to President George W. Bush. "In terms of having a meeting to discuss political strategy and partisan political strategy, that's OK."
Prior to his stint at the White House, Podesta was the president of the Center for American Progress, a Democratic messaging outfit on whose board Steyer sits, and to which Soros has donated large, undisclosed sums. Both Steyer and Soros are also involved with the shadowy left wing donor network the Democracy Alliance, which has steered large sums to CAP, one of its top dark money beneficiaries. 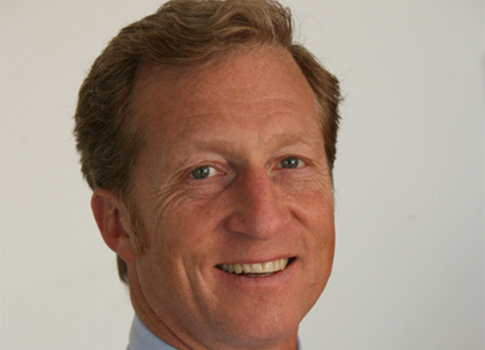 The meeting marked Steyer’s twelfth visit to the Obama White House, Politico reported. This entry was posted in Politics and tagged John Podesta, Tom Steyer, White House. Bookmark the permalink.